At present you can see that there are a lot of businesses are using the website and hosting services for their business so that they can easily showcase their business products and services to the people around the globe. And today if you are handling a website then you will be more focused towards the security of your website. And you will see that no spammer or hacker will harm your website. And today if you are looking for information on how to protect your website from spammer and hacker, then you need to use the firewall in your hosting.. So here is the information on how to Enable/Disable firewall in Linux Hosting. CSF is the most popular application level firewall used by VPS hosting. 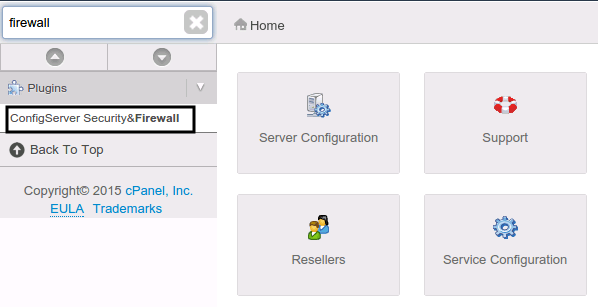 Enable csf firewall: (Enable CSF firewall using the following command). The same command can be applied on Linux VPS server or Cloud or dedicated server of any linux flavours such as Centos, RedHat, Ubuntu. How to disable CSF from the command line using Linux? If you are shared hosting customer with us, Then you do not have the option to handle or start and stop the CSF firewall. Today if you are looking for best hosting services with best security features for your website then you are at right place. Here at HostingRaja, we provide best-in-class website hosting services in India at an affordable price and also with amazing price. And if you are looking for Linux based OS hosting in dedicated or in VPS we do also provide that and we also provide hosting offers upto 55%. Here at HostingRaja we provide Managed dedicated or VPS server so that you can focus on your business and we take care of your websites and hosting related issues. CSF is an advanced firewall module used to provide better security for your VPS server which gives you an easiest way with good interface for managing your firewall settings. It is configured in such a way that your server’s firewall will lock down public access to services and only allow certain connections, such as logging in to FTP, checking your email, or loading your websites and many more. It will easily identify attacks, such as port scans, SYN floods, and login brute force attacks on many services. It is configured to temporarily block clients who are detected to be attacking the VPS hosting. Process Tracking : Watching, and searching various important system log files right from WHM. Port Knocking : Viewing currently 'listening' ports, and the processes that listen on them and allowing the required port. Directory Watching : It monitors the /temp and many other relevant folders for malicious scripts, and sends an email to the system administrator when malwares are detected. Connection Limit Protection : It is used to limit the number of concurrent active connections from an IP address to each port. Once it is properly configured, it is very easy to prevent abuses on the server, such as DoS attacks. Port/IP address redirection : Itcan also be configured to redirect connections to an IP/port to another IP/port. After redirection happens, the source address of the client will be the server's IP address. This is not an equivalent to network address translation. IP block / Allow : If you want to block certain IP which is trying to access your server you can make use of Quick Deny Option and to allow any IP use Quick Allow option. Block countries : If you are getting more unnecessary hits from different countries then it is possible to block those countries by visiting Config server firewall and select Firewall configuration, here there is a dropdown inthe top portion to select the options , click on Country code list and settings. Login Tracking : LFD offers protection against attacks as password and cryptography attack, brute-force login attempts and if found blocks the IP address attempting to attack that server to prevent any future attempts. You can see Search box on the right hand side, kindly search for CSF and click on it. Now you will be able to see the csf module page with temporarily down error. So you need to copy the url showing on the error message along with the port number and run on new window. Unsafe, now you will be automatically login to your CSF Firewall. List of Options can be seen on this module, do the necessary changes which is required as per your requirement and click on change. It is also possible to restart CSF inside this module.